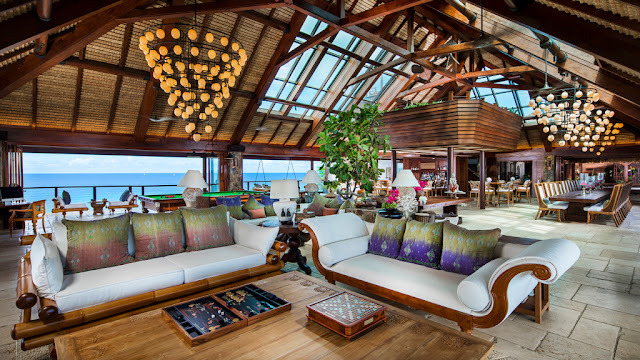 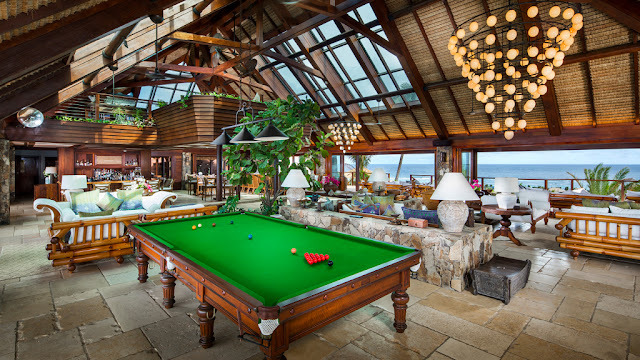 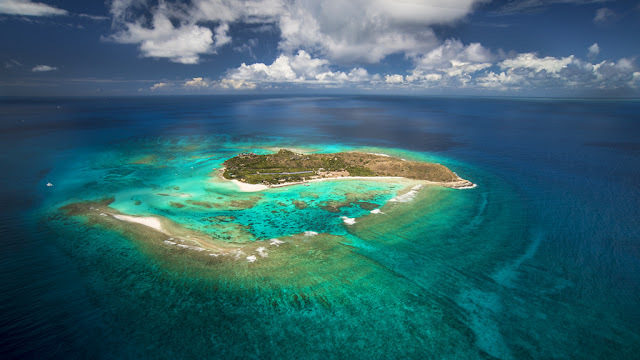 First purchased by Richard Branson in 1978, Necker Island has served as more than just a tropical vacation spot for the iconic entrepreneur—it’s also a Branson family home, the site of countless celebrations, and the cornerstone of his Virgin Limited Edition collection of hotels. 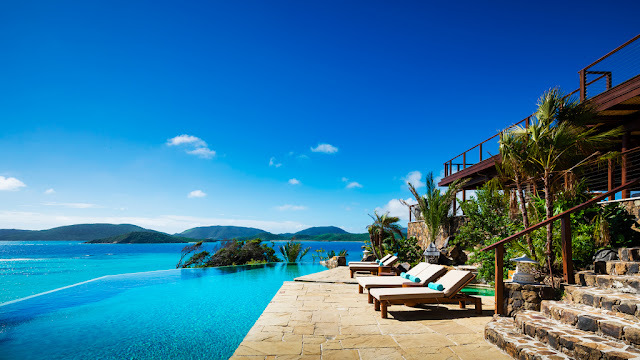 Over the years, the idyllic private island in the British Virgin Islands has also endured its share of natural disasters, including a massive 2011 fire caused by an electrical storm (during which actress Kate Winslet famously helped lead Sir Richard’s 90-year-old mother to safety) and the more recent Hurricane Irma, which Branson rode out in the wine cellar with his family and staff. 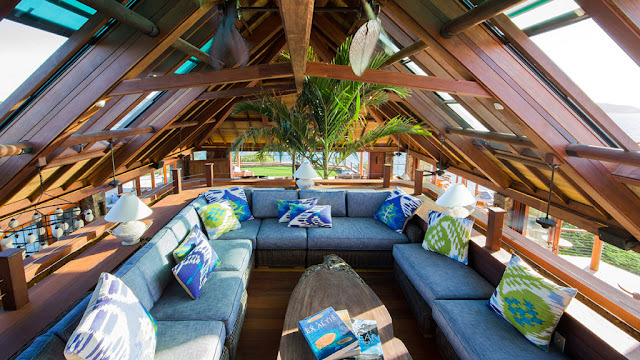 Now, the hideaway is ready for its next chapter—and we’ve got the first-look photos to prove it. Following several months of post-Irma construction and refurbishment, Necker re-opened in October with a completely re-created Great House, which has been expanded to include 11 bedrooms (up from the previous nine.) 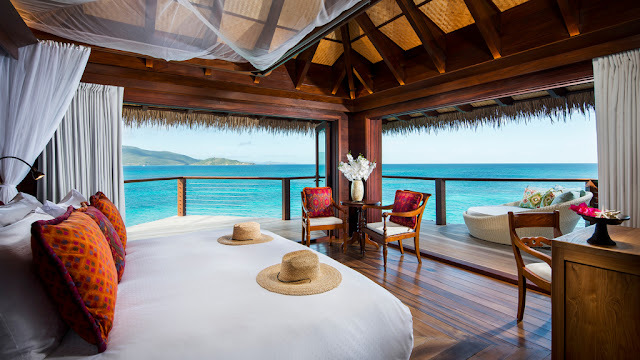 Each of the king bedrooms comes with a balcony from which to take in views of the Caribbean Sea, Atlantic Ocean, and nearby islands, while the master suite has private sundeck and hot tub; one room has been outfitted with six bunkbeds for the ultimate kids’ sleepover. 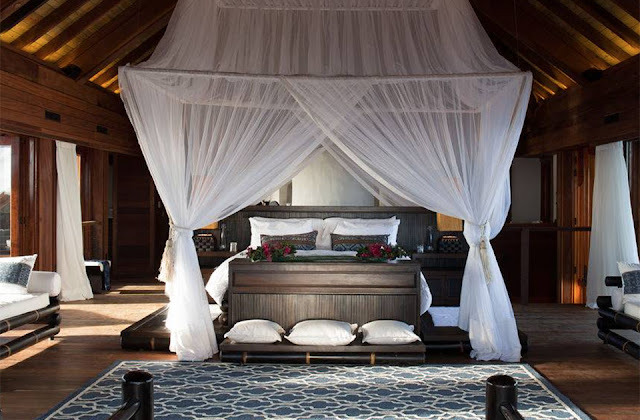 A new freestanding, Balinese-style house, Leha Lo can sleep an additional two adults, while further accommodations—including an improved and expanded Bali Hi complex offering private plunge pools in each of its houses—will roll out in 2019. 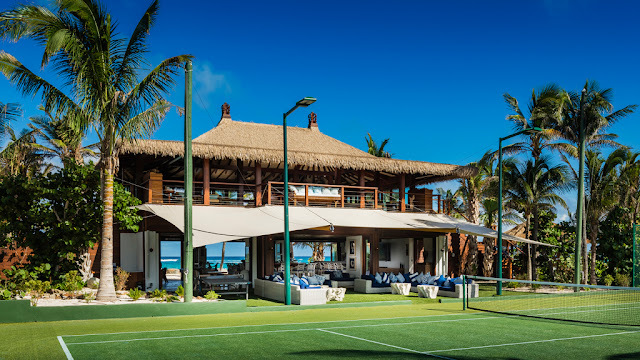 Guests checking in to the Great House now will find everything needed for a memorable getaway, from multiple freshwater infinity pools, a beachside hot tub, and hidden-away hammocks to pro-manned tennis courts and access to a full array of watersports equipment, including wakeboards, scuba gear, and sailboats. 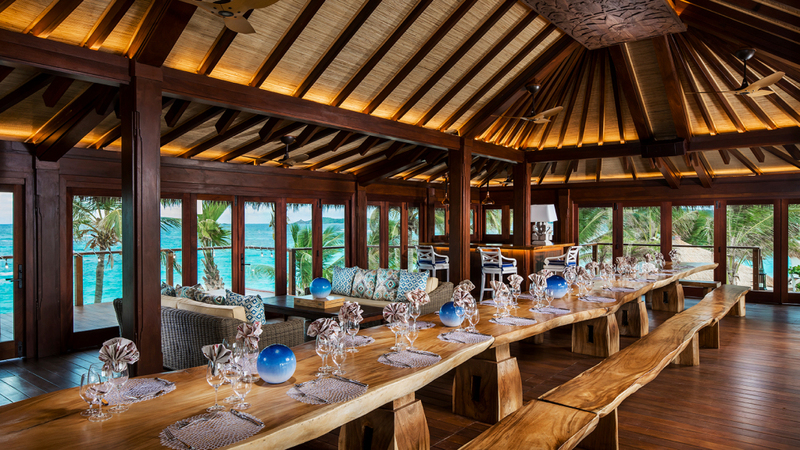 Meals can be set up at a variety of locations, drinks can be timed to prime sunset views, and the staff is on hand to set up whatever is required, from trips to neighboring islands to a late-night DJ. Clearly Necker has nine lives—and each time it comes back, it’s better than before.